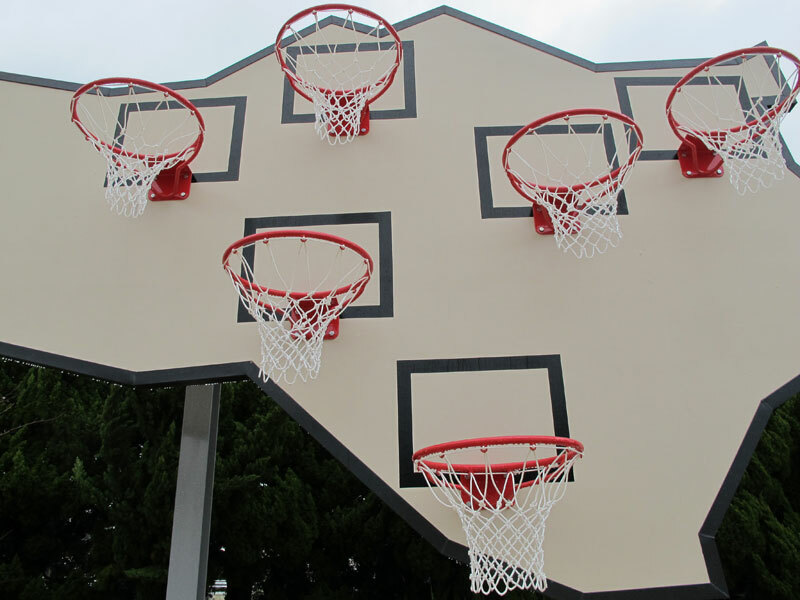 Specially manufactured basketball back-board containing several hoops. 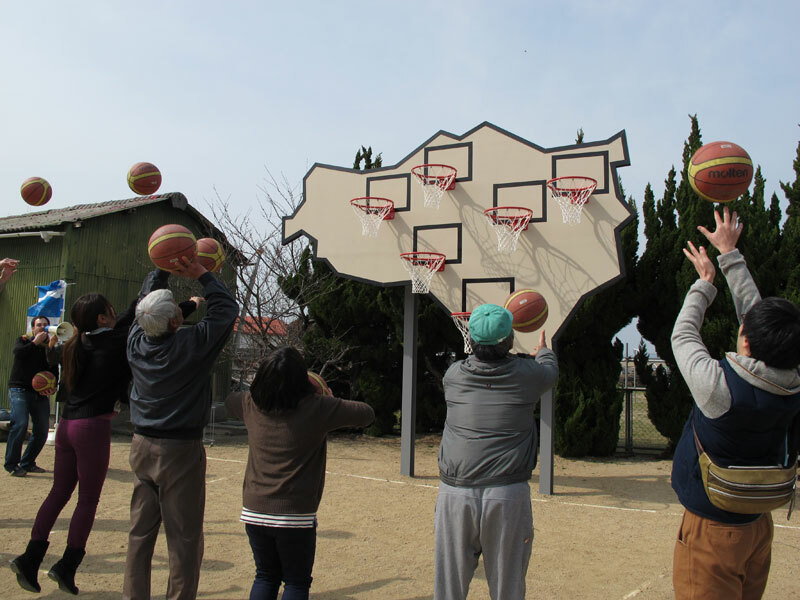 Installed permanently in Teshima, Japan, 2013. 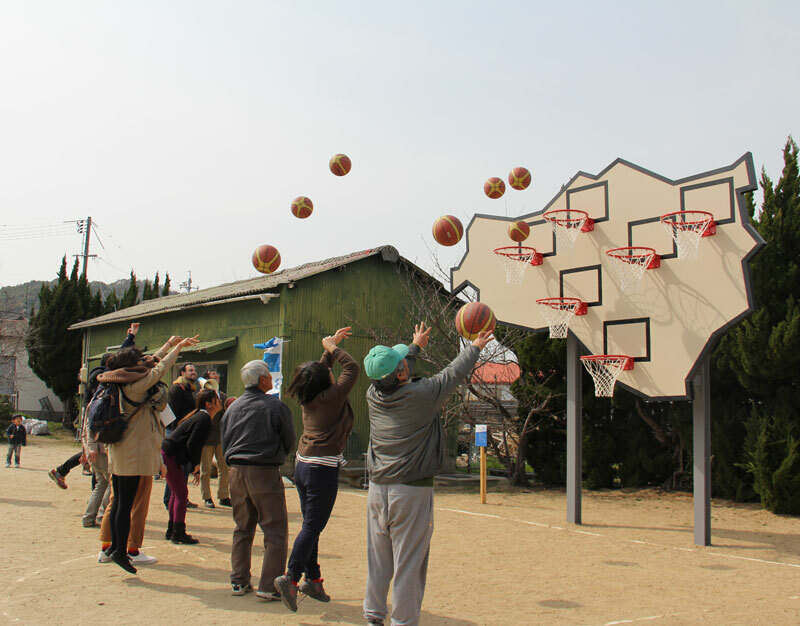 The purpose of "Multibasket" was to create a sport equipment that would stay permanently for the people of Teshima to play, and was conceived as a site-specific reaction to the context of this island. Teshima is located in the Seto Inland Sea of Japan, its economy is based purely on agricultural resources, and it has a situation of decreasing and aging population caused by migration of locals towards the big cities. The island is gradually getting empty and its infrastructure becoming old and unused, lacking any kind of leisure and sport facilities. This project stays in contrast to the other works of the series "no one wins", where playing is made impossible in order to express a critical view on a certain subject. 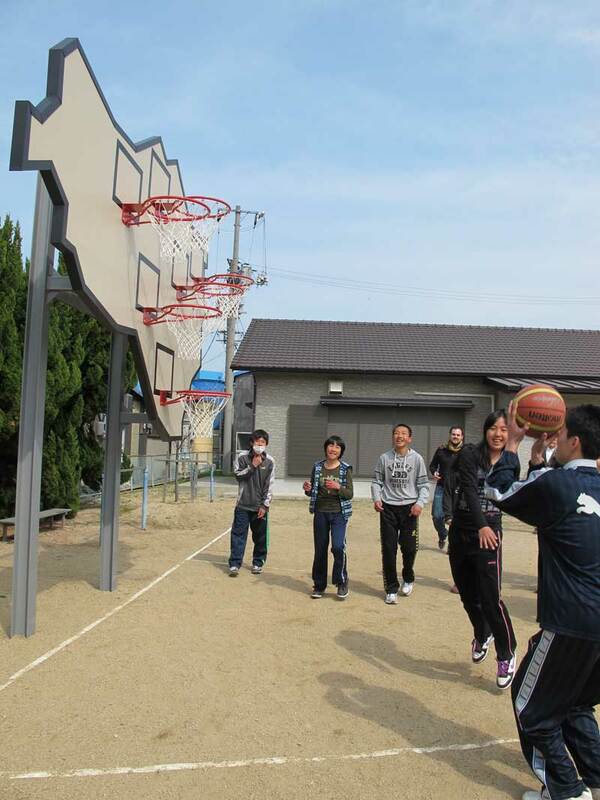 In "Multibasket" it is possible to play, but the rules of the play have changed. 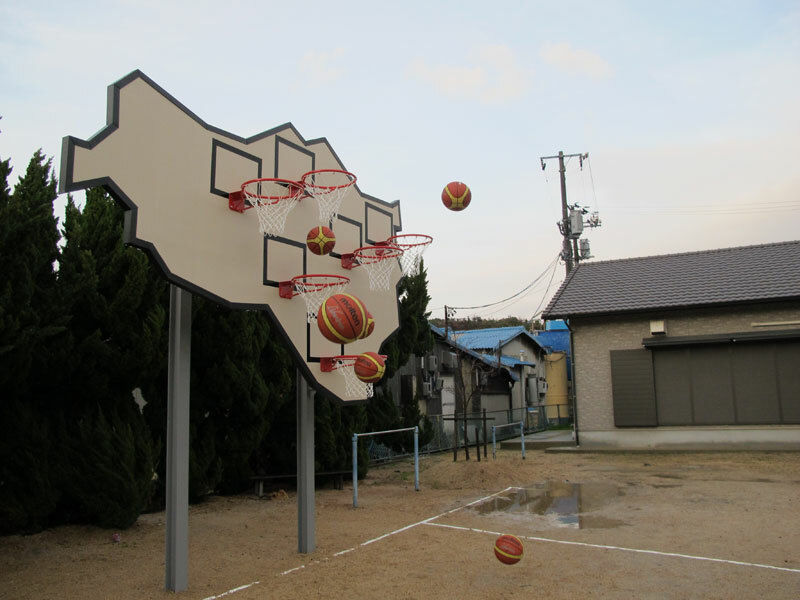 This basketball backboard is cut in the shape of Teshima, and each of the hoops signalises one town of the island. "Multibasket" aims to give a new perspective to a traditional team sport by breaking its usual rules, opening it to new possibilities and the creativity of the players. The duality of two competing teams is broken. No one wins. hey are based in Berlin and Barcelona, and have been working collaboratively since 2002.